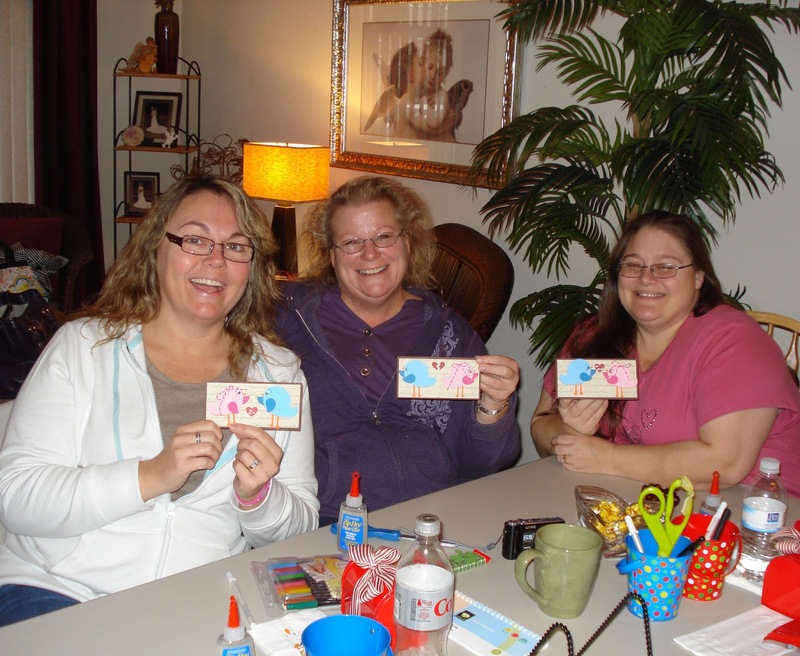 My Creative Time: My Scrapbook Class! Here is my new student "Gina" Happy Mom 2010 Blog AND back again, my Design Team member "Katie" Crafting with Katie! 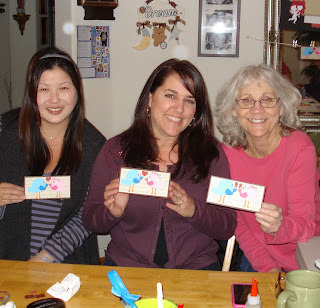 Some more new students: "Michelle" Meesh's Pieces Blog, my friend "Liz" came back her blog is "Liz's Paper Loft" and my last new student "Sandy" Sandy from Ukiah Blog! These ladies have been at my classes since day 1!! Going on 4 years now!! whoohoo!! 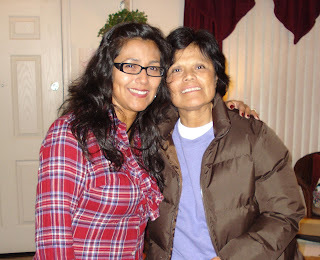 The 1st one is my son's FAVORITE teacher in the whole world! Her name is Janet & I just ADORE her! Next is my sweet friend Apryl! She is one of the yard duties at my boys school! Next is another good friend of mine, "Dina"! Her daughter is in my son's class & they LOVE to compete with each other!!! They BOTH make sure they maintain their 4.0 status!!! I luv ALL my ladies & I REALLY appreciate them supporting me for a long time now! 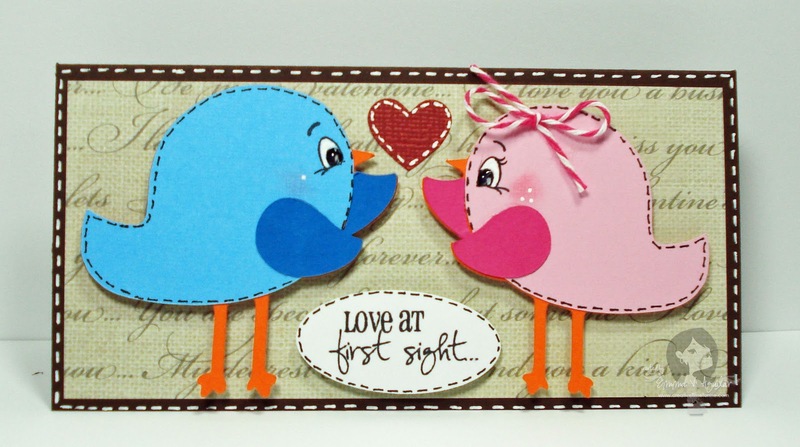 This CUTE birdie card was made w/3 birds on parade! AND as soon as everyone left, my samples (my stamps) came! So no one was able to play w/them! but I SURE DID!!! 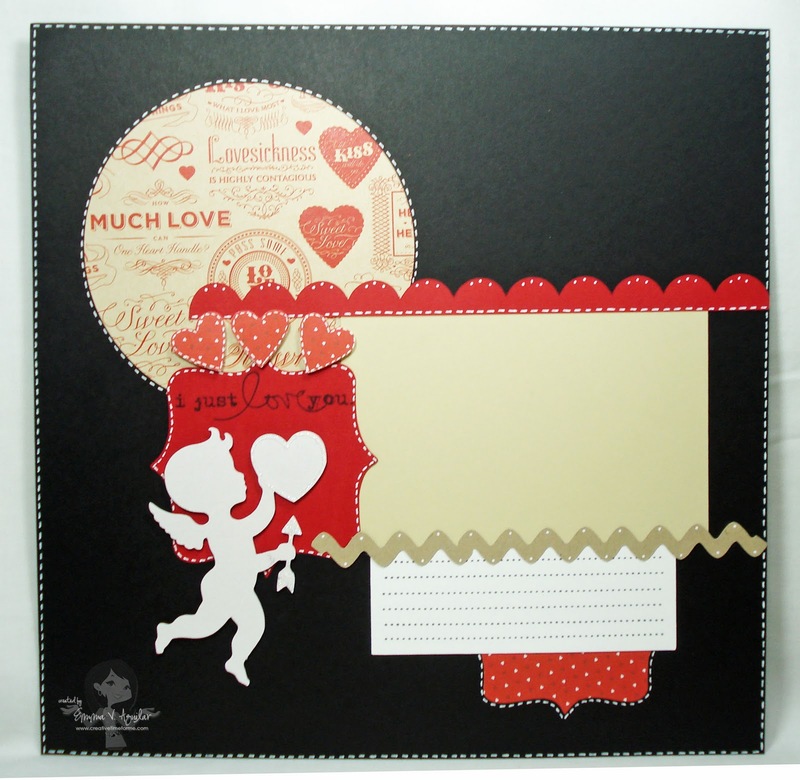 I used this sentiment from my newest line of stamps "You Had me at Chocolate"! Isn't it ADORABLE!! I LOVE it!! ;) and we ALL were able to play with Peachy Stamps!! How fun Emma ! I wish I lived closer I would come to your class ! Yay you got the stamps ? I cant wait to get mine !! TFS ! Looks like you had so much fun and a great bunch of ladies, sure wish I could join you. Love the pics! Thanks again for a great time! So sorry we missed your stamps! Looks like so much fun! I wish I could attend! I don't know how discover classes like this near where I live. I'm in New York, where I don't think crafting is as popular as in other states. I've never heard of a craft fair around here =( It's so sad lol. I can't wait till I get one of the stamp sets! I can't decide which one I want! Love the card and the LO's! I wish I was closer to come to your classes!! Oh I wish I could come. It looks like so much fun. I am way over in Wisconsin. I love the pages you made and the card. Your mom looks like a sister. You both are so pretty. Thanks for sharing I know if I lived by you I would want to join!! It looks like you all had a blast! Love all the goodies you made. Looks like a lot of Fun, Emma! Wish I lived closer so I could attend! The card is adorable and I love your layouts. So exciting to hear the new stamps came in. loved the class! Always so much fun. You are awesome Emma - can't wait for your stamps to come out, they are eggcredible!!!! How fun!!!!!!!! I have to go!!!! I will make my hubby stay with the kids next time!!! Looks like you had a blast!! Adorable projects! I so wish I could come, some day!!! This looks like SO much fun!! Thanks for sharing pictures. I'd love to take part too - but I imagine it's quite a trek from my house to yours!! The photo of you with your mum is beautiful. I'm SOOOO excited that your stamps came for you!! Great projects!! WOW! It looks like yall have lots of fun! I wish I lived near you so I could attend your classes! Thanks for sharing your pics! What fun you all must have had . Haven't been to a scrapclass ina long time. Love the LO's and tat card is too cute. lots of laughing! good times! Looks like it was definitely TONS of fun. It would be a LONG way from Canada to California but coming to one of your classes would be amazing. Looks like fun. I wish I lived nearby. :) Cannot wait for your stamps to come. Awesome Emma!! I wish I lived closer to attend your classes. Also, love your new stamps! Congrats!! Oh, Emma! I'm so glad you girls had such a great time!!! :) I wish I lived closer! I would love to come! Oh, gosh! I forgot to tell you how much I LOVE, LOVE, LOVE your projects!!! :) Your card & candy bar decor are super cute! And those scrap book pages are breathtaking!!!!!!!! How did you make that heart strip on the second layout? I love the picture of you with your mom, too! Does she do paper crafts?! You must be so proud of your son(s)...being competitive at school and getting all A's!!!!!!! I'd come to your class if I lived near you! Wow did you guys create all those projects? I'd love to learn how you run your classes. I want to do my own and feel intimidated about how to run it. Thanks for sharing! I love that chocolate set! It's on my wish list. I love the way you have cursive in each design. How fun! I wish you lived here. I would go to all of your classes!! Great projects!! Thanks for sharing! You all looked like you were having a blast. Crafting is so much fun for me, and can't wait to purchase your first set. Thanks for sharing these wonderful pictures. 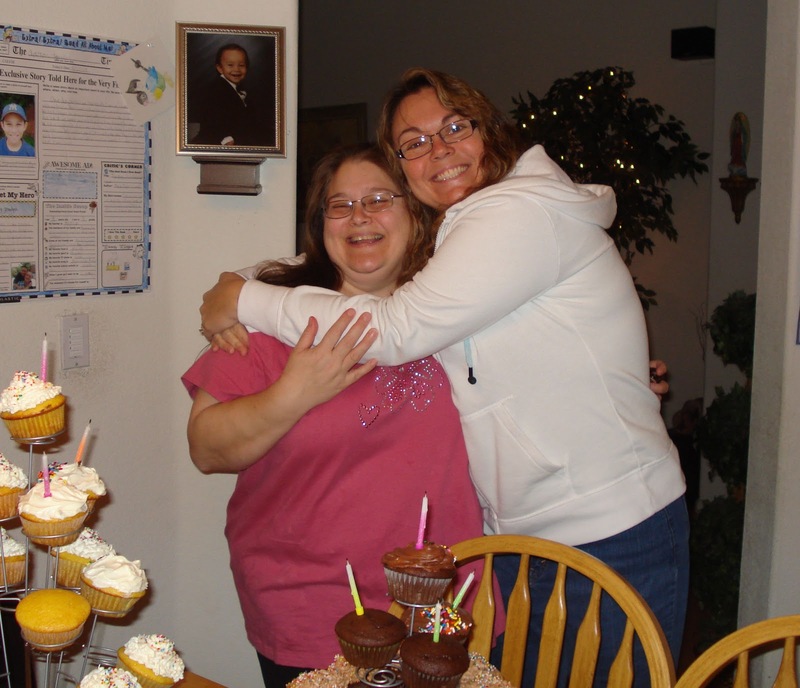 Here is another one,who wished that she would live closer! :) Too bad! Very cute projects! Looks like everyone had a great time! It looks like so much fun. I wish I could've been there. Thanks for sharing. What side is the paper that you wrap around the Kit Kat candy bar? It looks like a fun time was had by all!!! Thanks for sharing all the pix! Looks like a great group! As I am new to the blogging world I will leave my link. Aww Emma it looks like you have a wonderful time, good friends are hard to come by so hang on to them!! Love your projects they are all great ideas. Such a large fun group. I think a lot of people would want to be there too. Then you would need a stadium to meet at. Great pages and cards! Wow, how fun! I sure wish I lived near you, I would love to come to your class! WOW! It looks like you had LOADS of fun, and your projects are fantastic! I WISH I lived close, so I could come, too! Great pictures! What great pictures and projects. Thanks for sharing. What types of things do you do at your classes. I would like to start classes in my area (upper pennisula Michigan) and I was just wondering what you do and how do you plan? The projects are AWESOME, as always ;) I wish you lived near me!!! 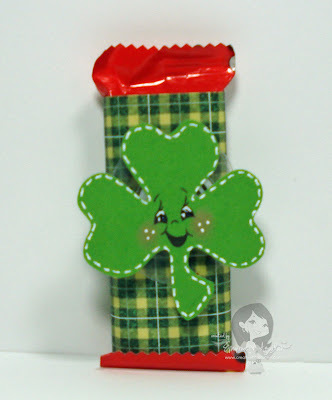 Can you please tell me which Peachy Keen face set you used on the Shamrock? I looked on their website, but I couldn't be sure! 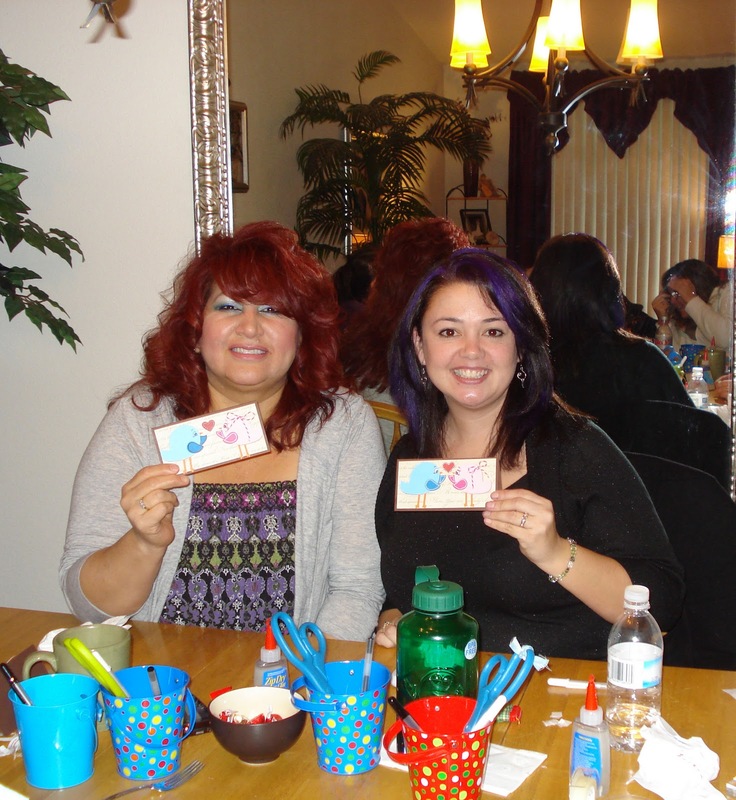 Thanks for sharing your fun day with us! I'm so glad I "happened upon" your blog! You and so many others help all of us so much by posting what you are doing and learning. You make it easier for the rest of us to get the most out of our Cricut, etc. Thanks for the opportunity to win the DVD for beginners. My daughter, daughter-in-law and I all have our own Cricut but we definitely need to become more efficient in using it. It would definitely be shared between the three of us. Awesome projects!It looks like a fun time! Love your stamps and You had me at Chocolate is my favorite set!! I would come to your class if I was closer! Your classes look like sooo much fun!! I would love to attend one. Where are your classes held? Looks like so much fun. Wish I could have gone. The projects look great. Please the next time you have a class, could you let me know. I live near Sacramento and would love to come. I sooo wish I lived by you!!! Would love to go to your classes!!! Sounds like you have a bunch of great friends & you all have a good time together. 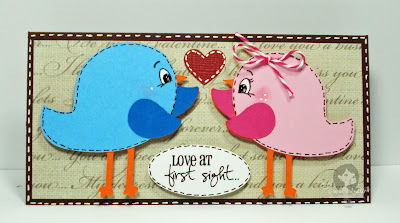 :) Your projects are soo cute, love the 2 birdies!